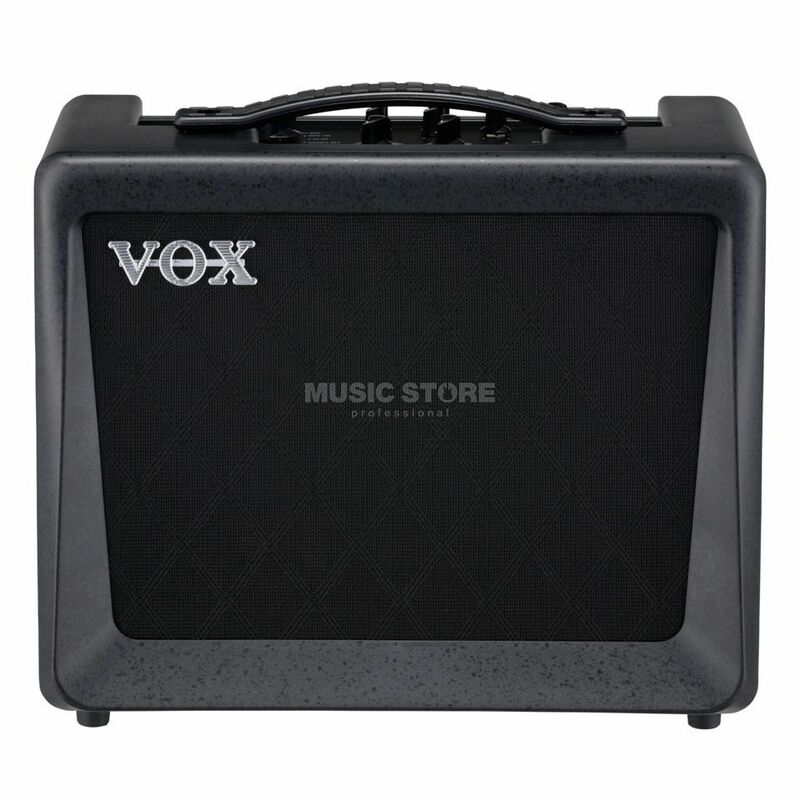 The Vox VX15 GT is a 15W Modelling Combo Amplifier from the VX series with extensive effect and amplifier options. The specially developed Virtual Element Technology (VET) is used to simulate important components of famous amplifier circuits in detail. The VX15 GT also features an additional effects section with 8x different effects, divided into 2x categories: modulation and delay/reverb. In terms of sound quality, a Vox 6.5” custom speaker in combination with the bass reflex construction of the cabinet offers a full and wide sound image. The Vox VX15 GT has an output of 15W and offers sufficient power reserves to provide adequate sound for small sessions and rehearsals. However, if you want to get the full sound of the VX15 GT at lower volumes, you can simply reduce the power of the amplifier. For this purpose, the compact modelling amplifier has a power level control, which allows the step-less reduction of the output stage power. As part of the innovative VET modelling range, the VX15 GT provides 10x different amp simulations. From the sound characteristics of classic boutique amplifiers to the legendary Vox AC30 sound to other coveted amplifiers with British or American voicing. The effects section, on the other hand, is divided into 2x categories: Modulation offers a Chorus, Flanger, Phaser and a Tremolo effect, whilst in the Delay/Reverb section there are classic Echo effects such as Tape Simulations and Analogue Delay, in addition to a further Spring and Hall Reverb.